It’s the coldest day of the season. Everything that had started to grow in the warmth of January is turning to mush. 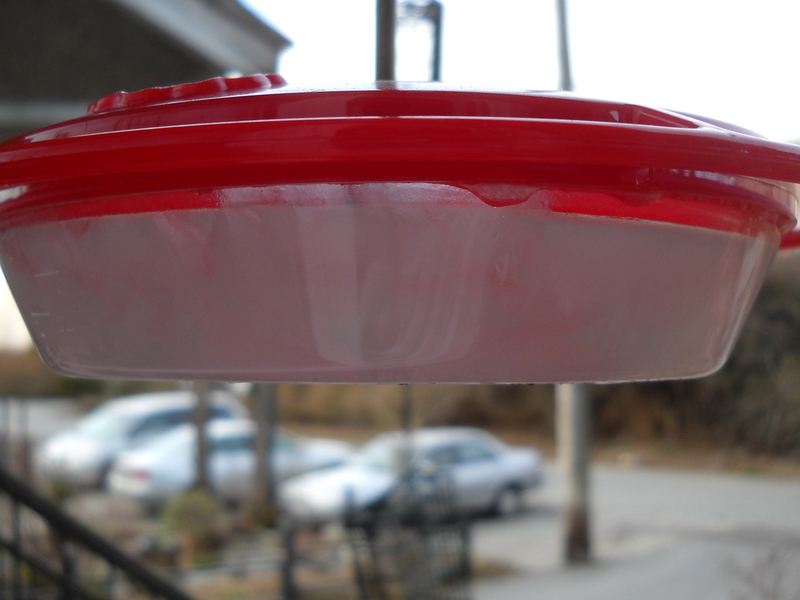 My hummingbird feeder nectar froze in one hour. Clearly it’s time to start thinking about how you’ll spend your summer in the garden! 1. How Will You Use Your Garden? Do you see yourself escaping the Madding Crowd with a good book and a drink in the seclusion of your secret garden? Or do you prefer welcoming guests every weekend to a backyard BBQ? Is play space for the kids the most important priority? These aren’t mutually exclusive, but would usually happen in different spaces. So in the interest of “dealing with one section at a time”, choose your preferred garden activity. That’s Step #1. 2. What Sun Exposure Do You Need? 4. What is your Gardening Commitment? This question is partially dependent on the results of Step #1. 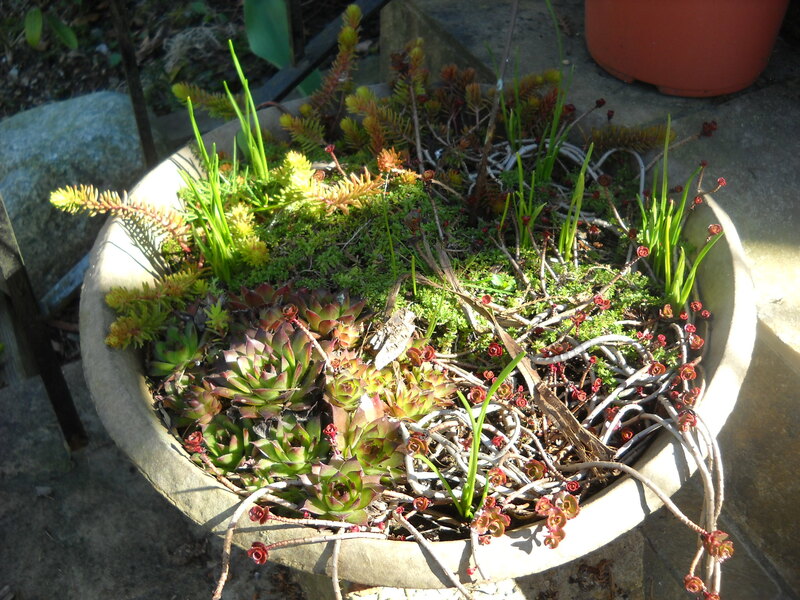 How much actual gardening work do you see yourself expending? 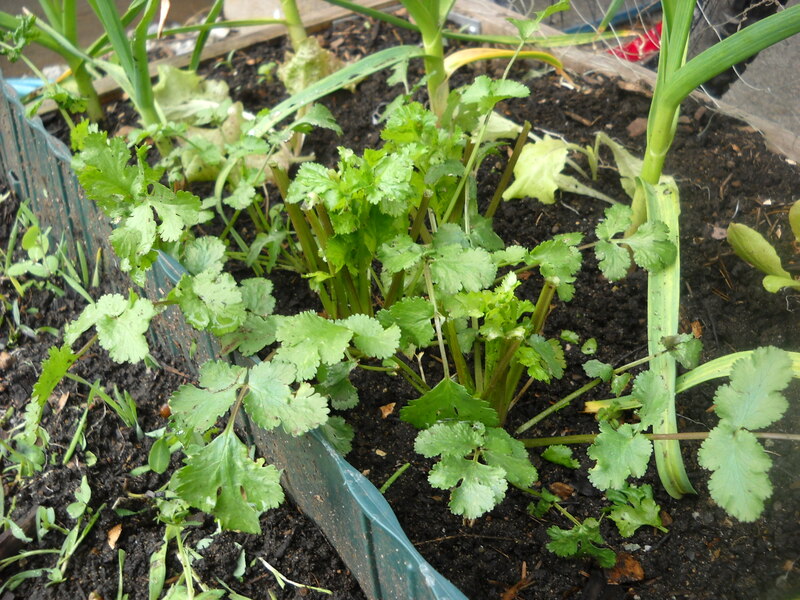 Do you love–or anticipate loving–being out in the “dirt” digging, weeding, lovingly caring for your plants? 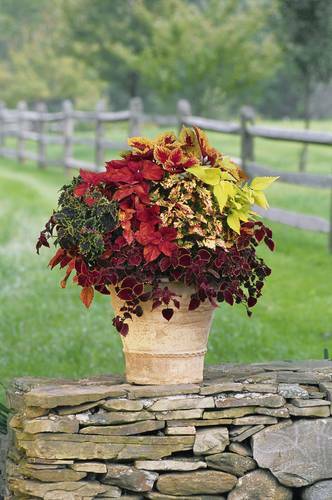 Or are you afraid of killing anything your touch and therefore need cast iron native, drought tolerant, carefree plants. Probably somewhere in the middle. Answer this step objectively; if you love roses and dream of surrounding your property with a hedge of the wildly vigorous Rosa rugosa ‘Hansa’, that will constitute a pretty significant “gardening commitment”. Last and certainly not least, how much are you willing to spend on this project? One of the chief reasons to separate your property into different projects is to make it all more affordable. And of course, the more of the project you can do yourself, the easier on the wallet. As long as you produce a quality product, not a hack job. I certainly wouldn’t attempt building a deck, but I was able to build a small patio. The larger patio I hired professionals to build, but only because I knew I didn’t have the muscle to move that much sod/sand/gravel/flagstone. If you do, go for it. 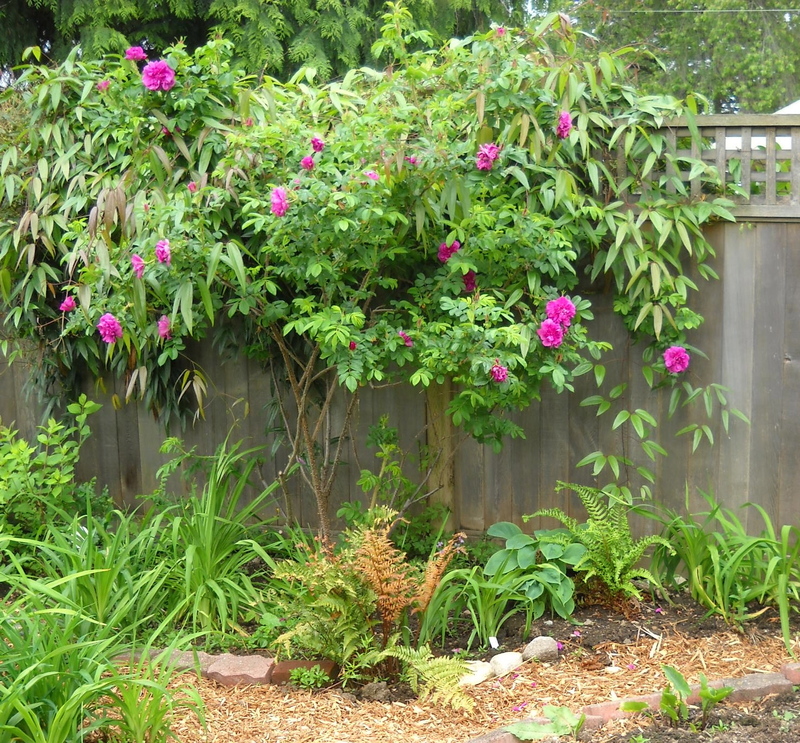 Those 5 Questions will take you a long way toward planning and starting your own garden design. You can go back to the Client Site Analysis to fill out some more details, and I’m happy to answer questions here or on my Facebook page. As always, click on Follow to get regular updates here. I’m supposed to be posting about 5 Great Container Gardens, but I just found this website: Mike’s Garden Top 5 Plants. It’s an absolute Treasure Trove of information and advice about choosing plants for garden or container. Oh, and BC specific! Have a look–you won’t be disappointed! Any first blooms of the season are exciting, And somehow, roses are up there with the best of them. I have quite a few roses, some I love more than others, but Julia Child, now entering only its 4th year in my garden, is the best of the best. Her growth habit is restrained and shapely–it doesn’t straggle all over the place, it doesn’t just grow straight up, and the size is very manageable. 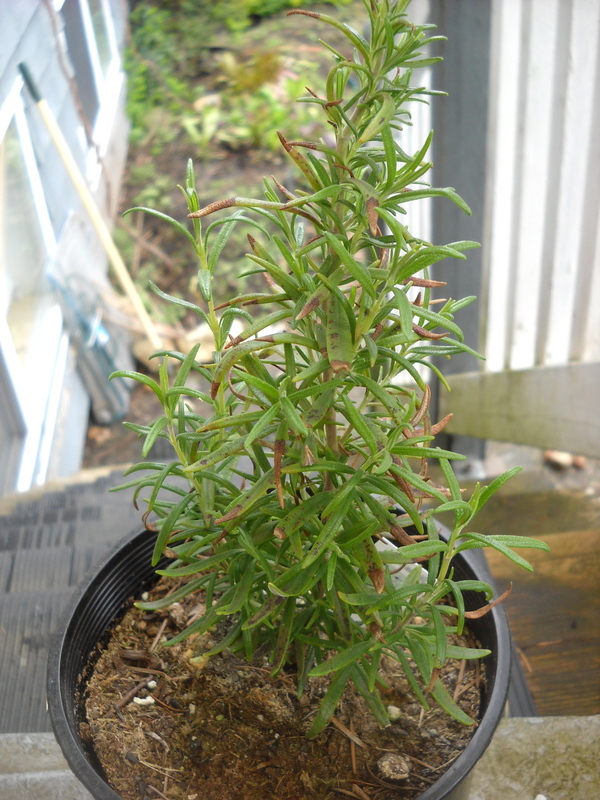 Julia Child, about 4.5 feet tall on May 17, 4 years old. 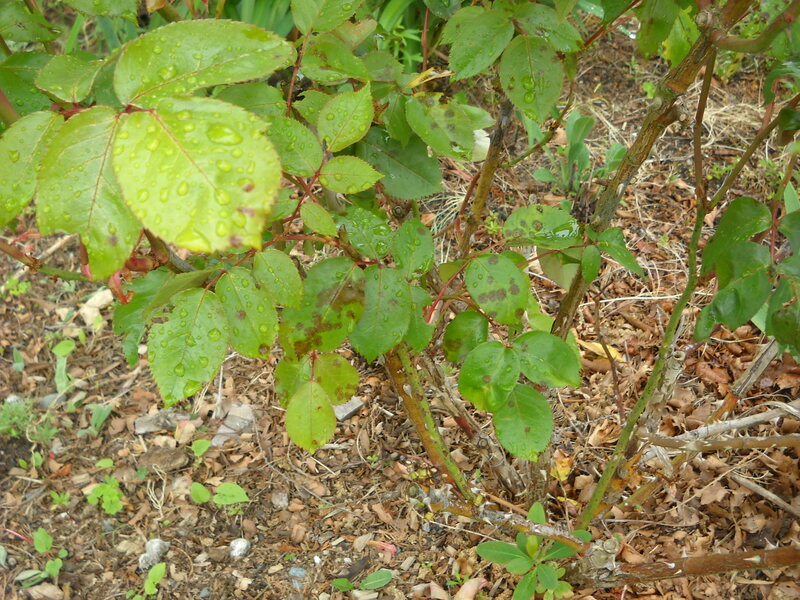 She doesn’t suffer from diseases–black spot is the bane of rose growers here in coastal BC–and she blooms reliably until frost. That’s about 5 months of flowering! Her only downside is that she has no fragrance. I used to think a rose without fragrance was a waste of space, but I’m a little less dogmatic now. 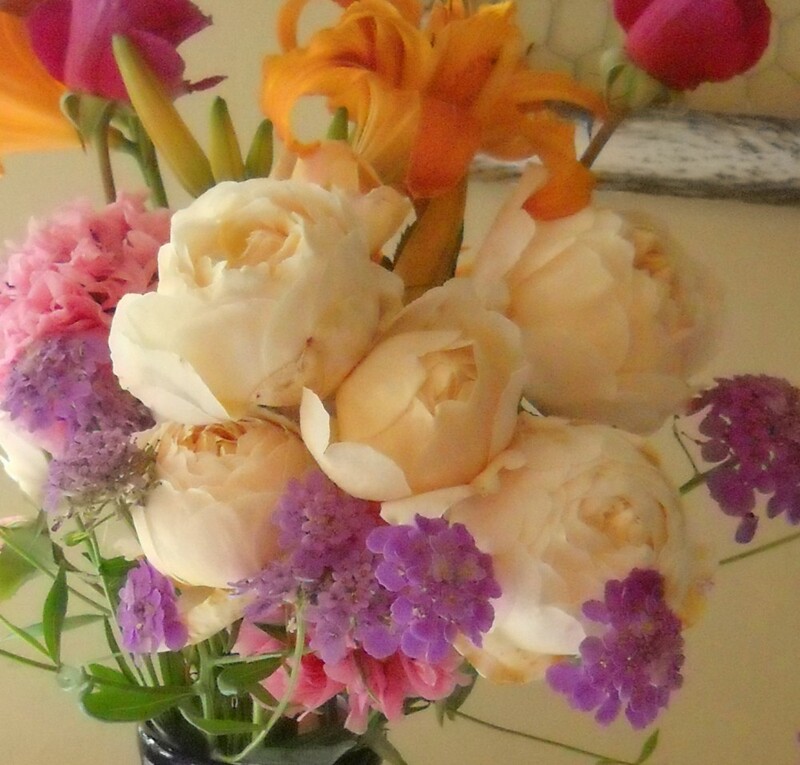 I have several roses without fragrance, which actually makes it easier to make a bouquet–mix a fragrant rose and a non-fragrant rose so there’s no competition. So I thought I’d write a little essay on roses. 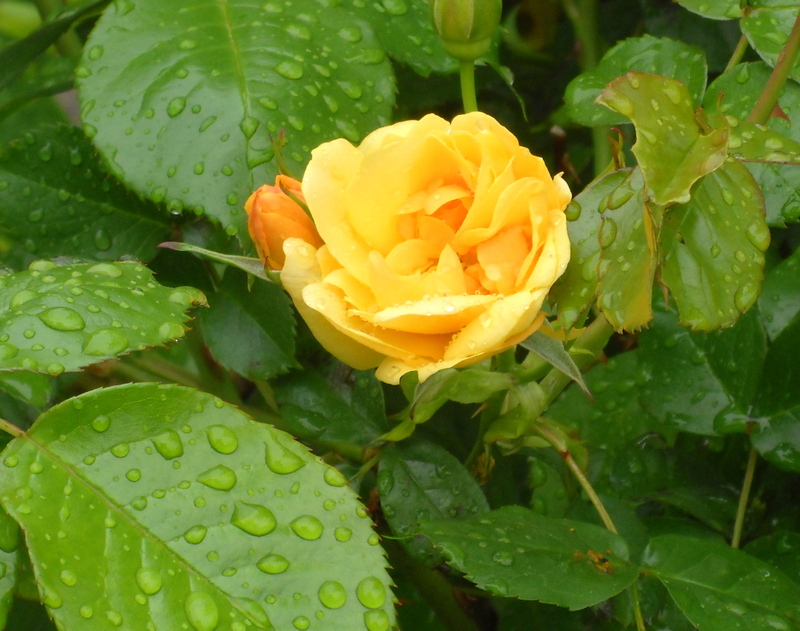 It’s a terrible myth that roses are hard to keep–too much tending, feeding, spraying, pruning (scary! ), protecting. Well, all of that is true, and untrue. There’s almost no reason (one–I’ll get to it) you can’t successfully grow roses. 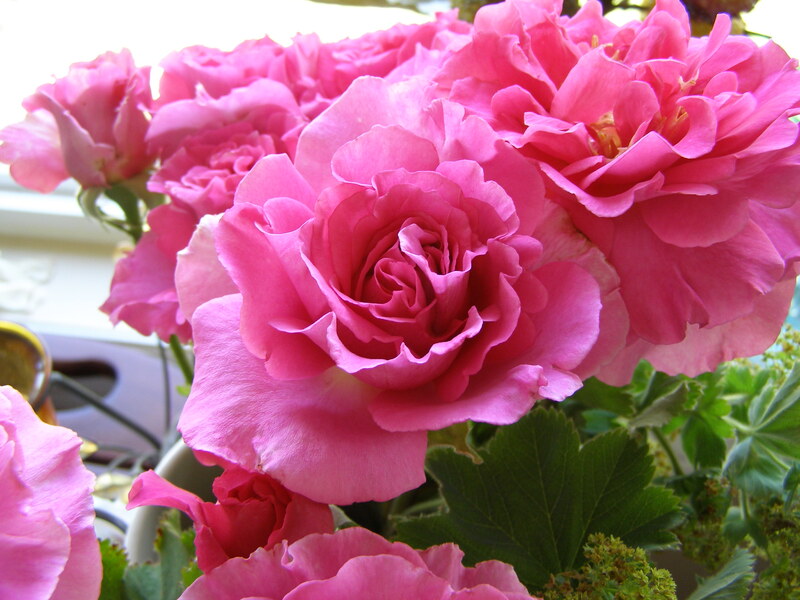 Choose “very disease resistant” roses. 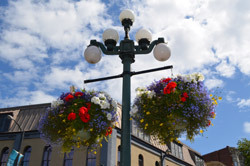 Roses that you might buy at Home Depot or Canadian Tire in little boxes are unlikely to be the best to invest time and money into. They buy them in bulk of course, and will get the same product for all their stores across the country, regardless whether they are appropriate for the location or not. When you can buy a $5 rose at HD, why pay $25 somewhere else? The answer is “disease resistance”. 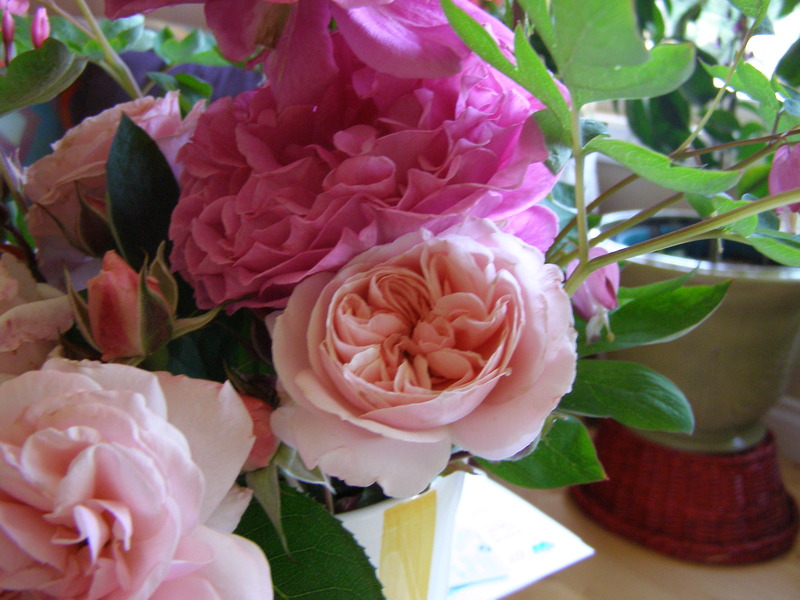 Here’s another site that will give you a list of suitable David Austin roses for the Pacific Northwest. And since it also has Heritage in the list, just goes to show you can’t expect exactly the same results when there are so many variables to contend with. Give your rose LOTS of sun. 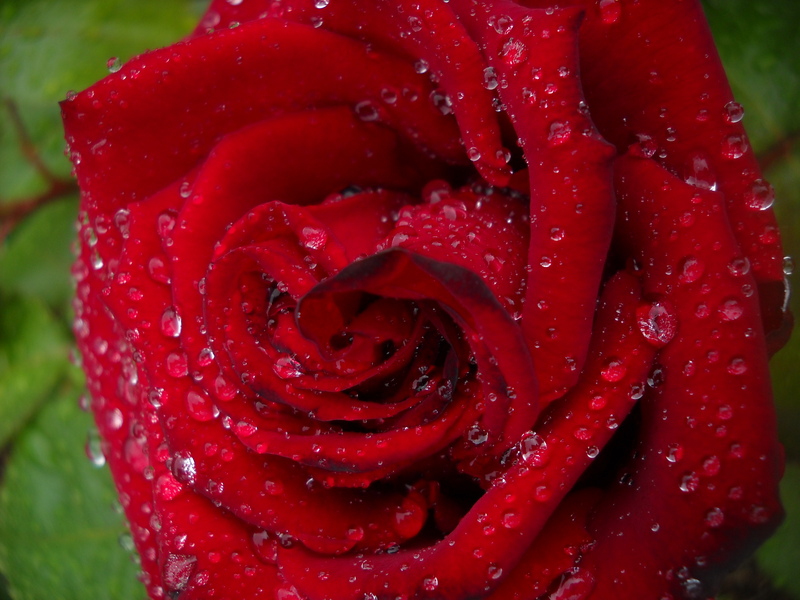 The best thing you can do for your rose is place it in a place where it will get AT LEAST 6 hours of uninterrupted sun. And sunlight before breakfast and after supper don’t count! So 8 am to 2 pm, or noon to 6 pm, or any 6+ hours in the middle are all good. 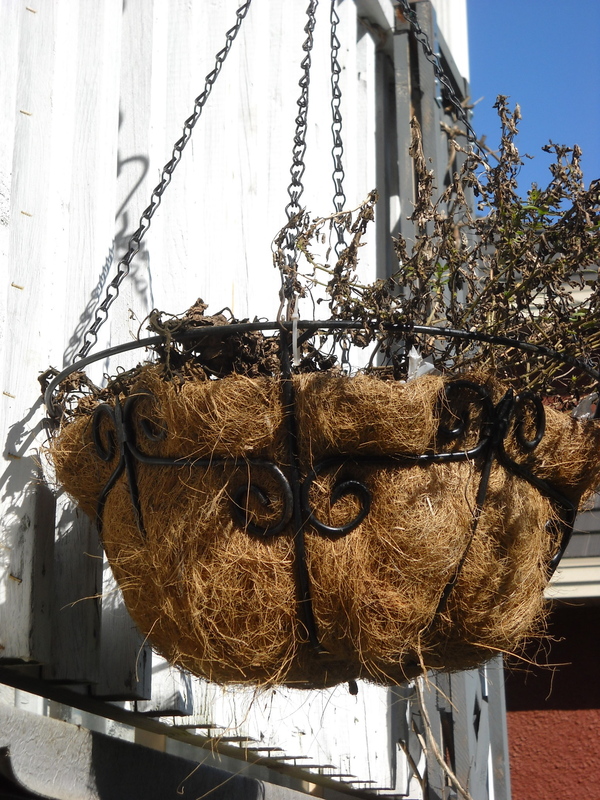 The right amount of sun will inhibit disease, promote good growth, which together inhibit pests. More sun means more blooms, which means happier grower–you. 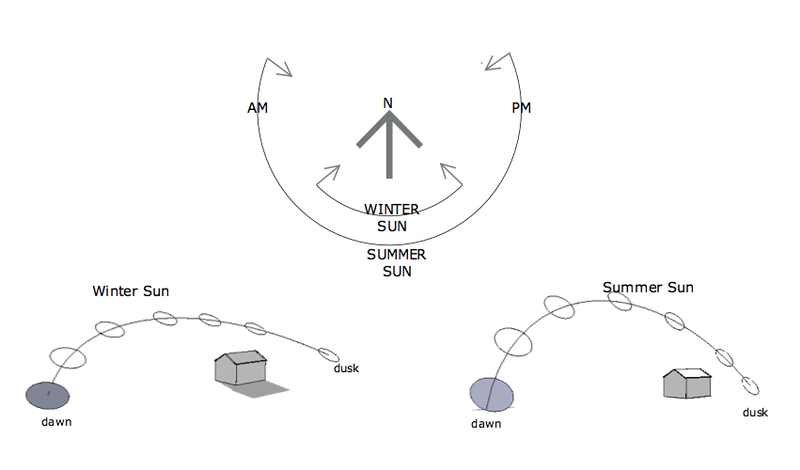 So before you buy your roses, spend a sunny day identifying where on your property the sun is fully shining (not shining through the leaves of a tree) for 6 hours. If there isn’t such a spot, I’m terribly sorry, roses are not for you. Yes, there are some that say they will tolerate part shade, and I have several of them. They don’t bloom. 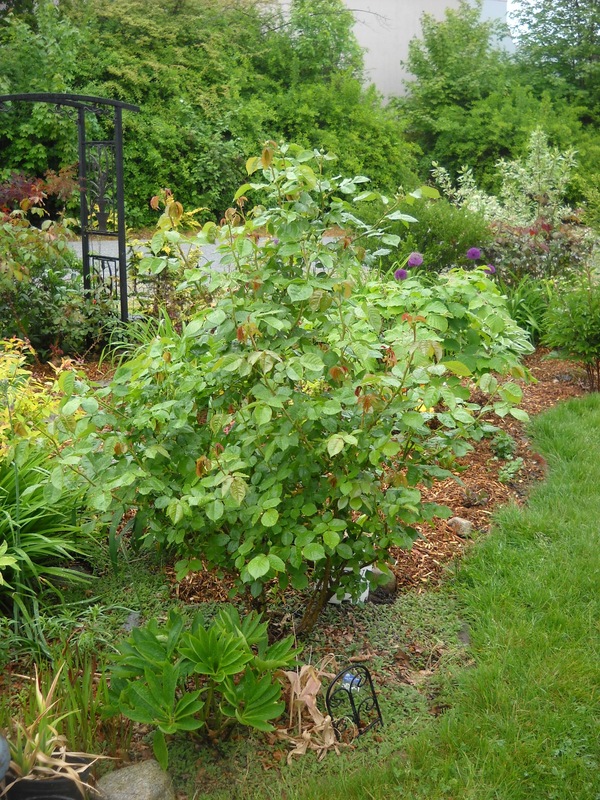 Rugosa roses have a lot of advantages: disease resistant, fragrance, repeat blooming, and allegedly shade tolerance. But if they don’t get enough sun, they don’t bloom, so I guess you can see the dilemma. Don’t bother, get some other attractive flowering fragrant shrub instead. And now, for feeding the hungry little buggers! I’ve many times heard that roses are hungry, and maybe if what you’re after is show-quality blooms on an extravagant scale, then yes, maybe roses can get hungry. But I don’t think you’re going to be taking your roses to a flower show, or you wouldn’t be reading this somewhat simplistic blog. You want roses that will perform without requiring daily attention. So, Feed the Soil, the Soil Feeds the Plant. 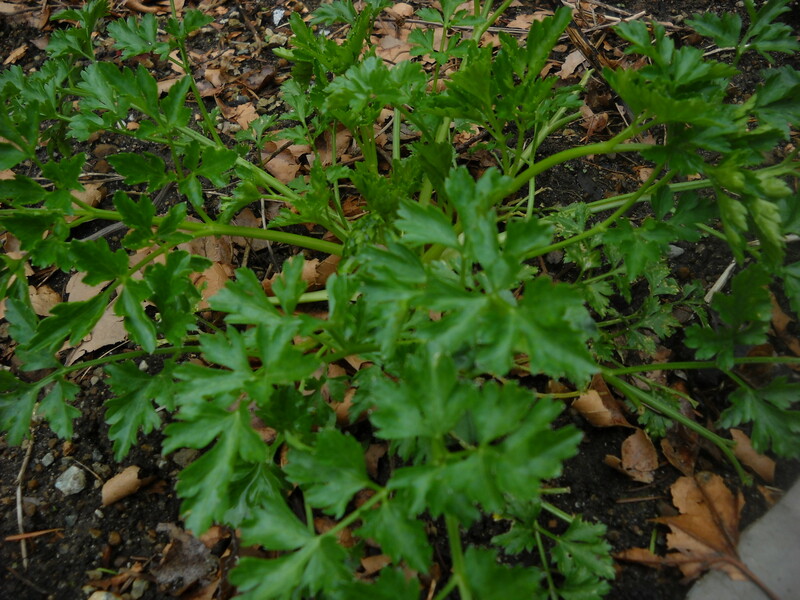 Most plants will be satisfied with a meal that can be delivered by a smorgasbord of microbes and earthworms. (Sorry for the mixed metaphor there… “with a smorgasbord delivered by an army of microbes and earthworms.” How’s that? And go back to my post on Soil Characteristics to learn more about soil health.) Now that’s not necessarily true of all PLANTS, but MOST plants. And most roses will be satisfied with heathy nutritious soil, not needing a lot of extra desserts. 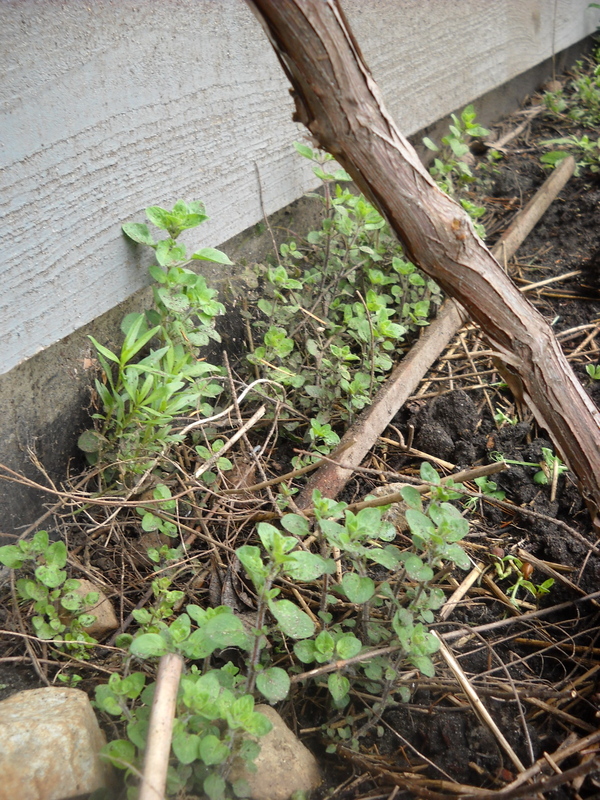 Top-dressing (that’s adding on top of the soil under the canopy of the plant, staying 1-2″ away from the stem) with 1-2″ deep compost 1-2 times yearly (spring/fall) will make your soil/microbes/earthworms very happy indeed, and they will feed your roses. Very easy, and pretty easy to remember as well. Water Them Well the First Year. So there you go, Sun, Compost, Water. Very Disease Resistant. 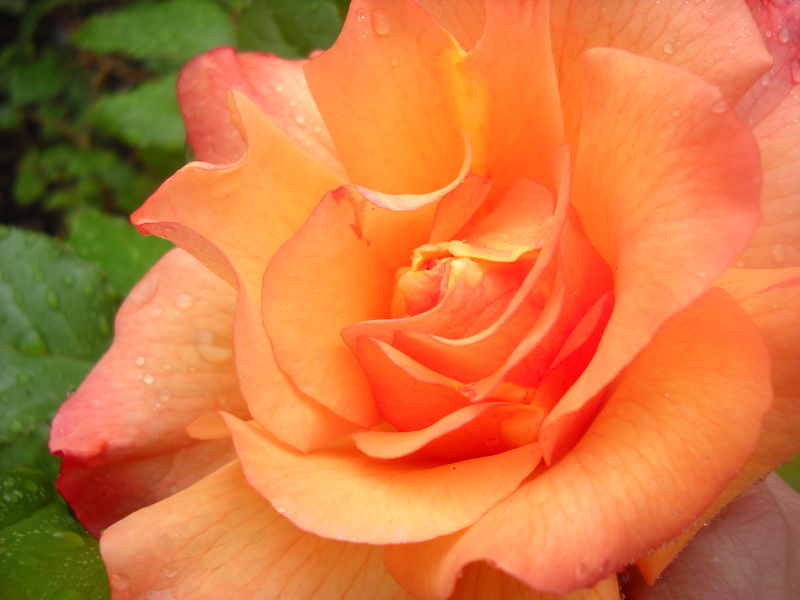 All you REALLY need to know about having roses in your garden. 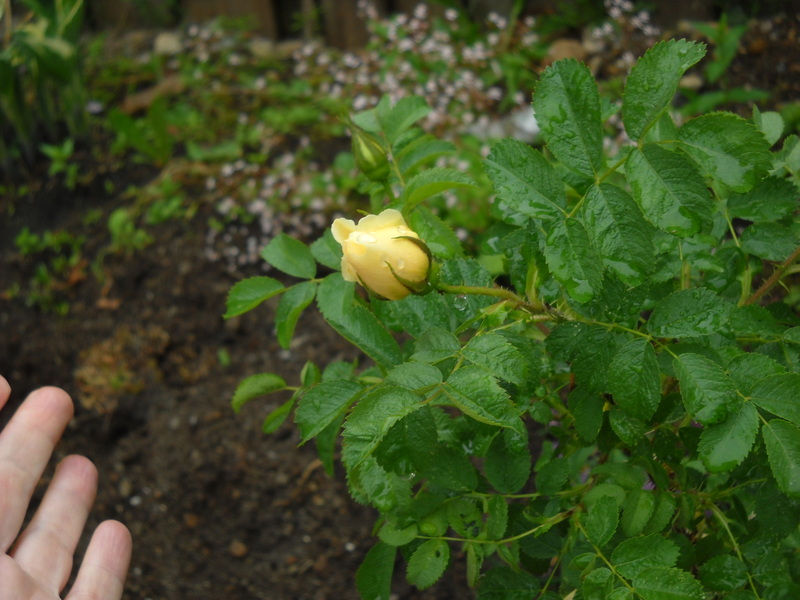 There’re lots of other things you may WANT to know about growing roses in your garden, and likely I’ll be posting about some of those in the future. So stay tuned. Click Follow. Like my FB page. Comment. Ask questions. Octavia Hill. 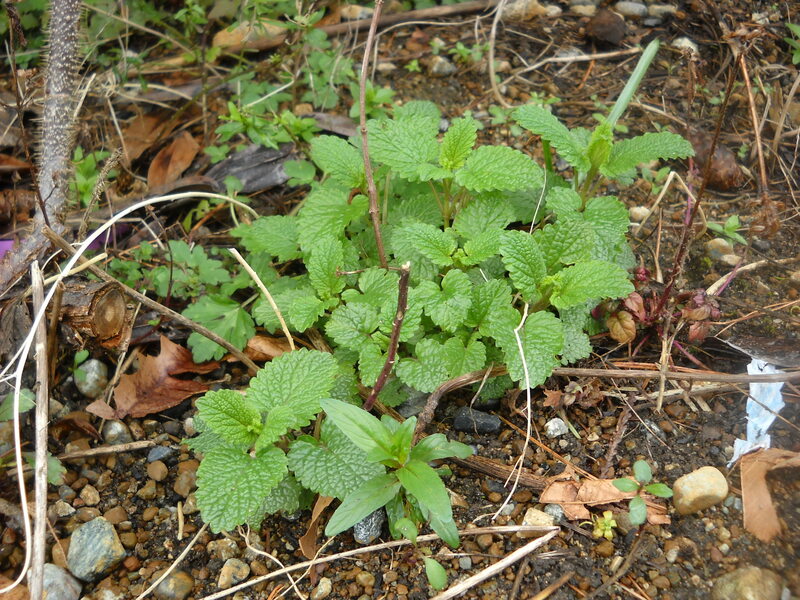 Fabulous diminutive shrub with glossy leaves, no fragrance. I love it for the name as well–google Octavia Hill. Looks impressive, but this is the Ingrid Bergman that has such bad black spot already. But you can see why I bought her. 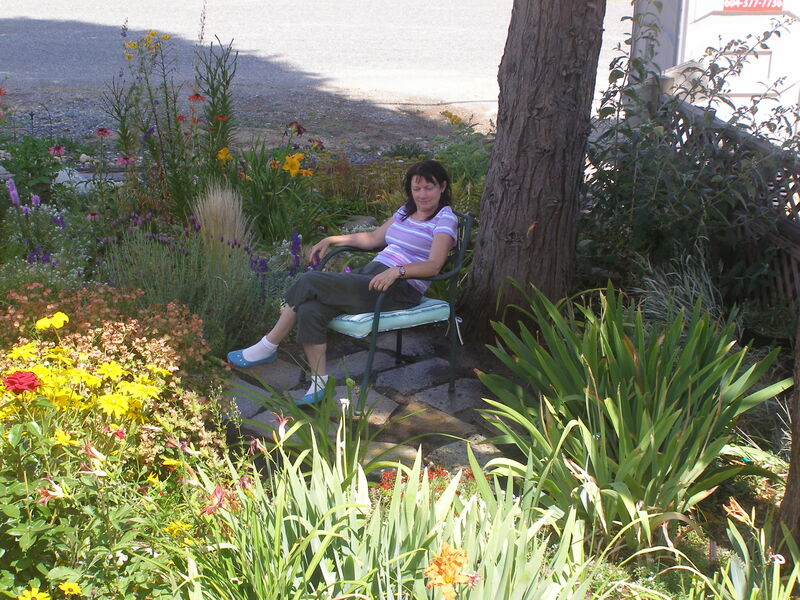 Rosemary Harkness–so many lovely ladies. 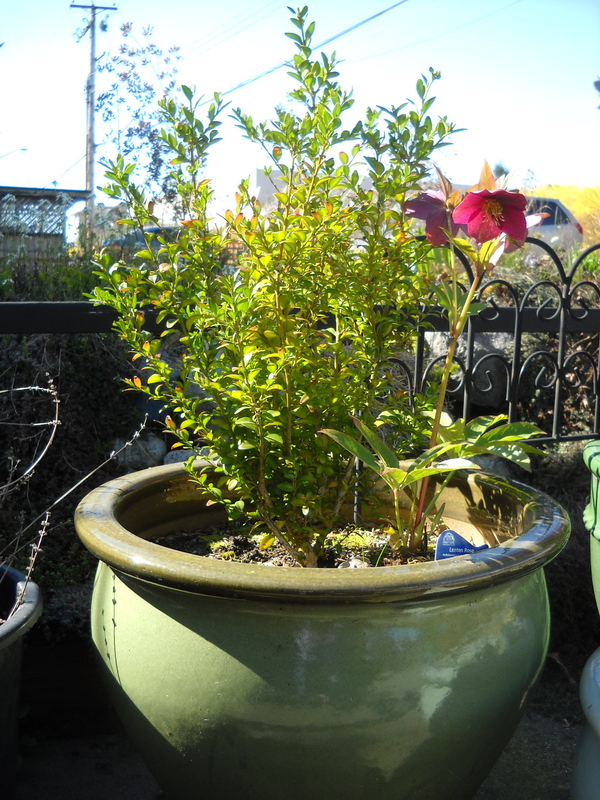 I tried to dispose of her last year–black spot–but she resisted my efforts and is growing again.